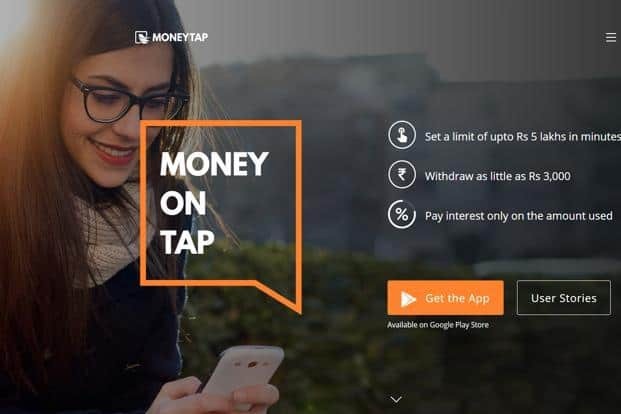 NEW DELHI: In a first, fintech startup MoneyTap has launched India’s first App-Based Credit Line, in partnership with banks, and directly targeted at consumers. MoneyTap enables consumers to get instant credit from partner banks at the tap of a button on the app. “Credit Line, a facility that was only available for businesses until now, is now being made available to consumers. The “Credit Line” means that the bank will issue a limit of up to Rs 5 lakhs, without any collateral or charging any interest. Against this limit, using the MoneyTap app, consumers can borrow as little as Rs. 3000 or as much as Rs. 5 lakhs and repay it as EMIs from 2 months to 3 years. The interest is paid only on the amount borrowed and the rates can be as low as 1.25% per month,” the statement said. “The limit also gets automatically replenished as soon EMIs are paid back. Any salaried employee can download this free Android app and in a few minutes, using a patent-pending Chatbot interface, provide all the information typically required by banks. The app securely connects with the banking systems to give them not only an instant approval but also a credit limit, depending on individual credit history,” it said. “MoneyTap today launched in partnership with their banking partner, The RBL Bank, one of India’s fastest growing banks . RBL’s technology enables MoneyTap to provide instant decision and instant access to money, 24/7, irrespective of holidays. Though all actions are initiated on the MoneyTap app, per RBI guidelines, all financial transactions such as billing, repayment or withdrawals will directly be with the bank using secure APIs. As an added convenience for shopping needs, a “MoneyTap RBL Credit Card” is also provided for the user. This is a regular MasterCard Credit Card that is accepted at all locations and for all card purchases – offline and online,” it added. The MoneyTap app is available on Android Playstore ( http://bit.ly/moneytap ) to all salaried employees, living in Delhi NCR, Mumbai, Bangalore, Hyderabad and Chennai. The company is planning to expand in other cities as well in the next few months. Qualified customers, after completing the KYC, will pay a one-time Line setup fee of Rs. 499 + tax in their first month bill from RBL Bank. This includes the cost of issuing the limit for the customer, a Free MoneyTap RBL MasterCard and a slew of other benefits. There are no hidden fees or charges and every time the customer chooses to take an EMI, they will be shown the interest & any other applicable charges and the customer will be required to provide explicit consent before borrowing. “We are delighted to partner with MoneyTap to launch India’s first app based Credit line. We have integrated MoneyTap’s technological innovation with our own banking system to provide a never-before 24/7 experience for users without compromising on security and compliance issues. With this cutting-edge technology, we aim to offer many more personalised services to our customers,” said Harjeet Toor, Head – Cards, Retail & MSME Loans and Financial Inclusion, RBL Bank. “Growing up in India in the Eighties and Nineties, and coming from middle-income group families, we have all faced shortage of additional funds at some point. At MoneyTap, we are on a mission to change this and make credit accessible to those who deserve it. The ubiquitous presence of smartphones and initiatives such as Aadhaar has made it possible for us to develop a truly powerful and disruptive financial instrument. The credit line for consumers with accessibility through an app is a new concept in India and we are excited about the opportunities it can bring to thousands of millions of Indians. We are extremely thankful to RBL to have trusted us and delighted that they are equally passionate about solving the existing problem of easy and quick access to credit,” said Bala Parthasarathy, CEO & Co-founder, MoneyTap. MoneyTap launches industry’s first app-based ‘Credit Line’ 0 out of 5 based on 0 ratings. 0 user reviews.